Our StoryOur PhilosophyOur LeadershipOur TeamsWhy ABRITE? The ABRITE Organization is dedicated to improving the lives of children by providing intervention services based on the principles of Applied Behavior Analysis (ABA). The ABRITE organization provides services to children and young adults throughout Northern and Southern California. In 2006, Dr. Ginger Raabe and Dr. Janice Frederick, two doctorate level clinicians, founded the organization based on their shared love for children and their desire to apply their years of the study of learning to children. Dr. Raabe and Dr. Frederick and their team believe that every child deserves a brighter future and that the path that can lead to this improved success is revealed by examining each individual learner’s needs and then creating an environment to help them flourish. 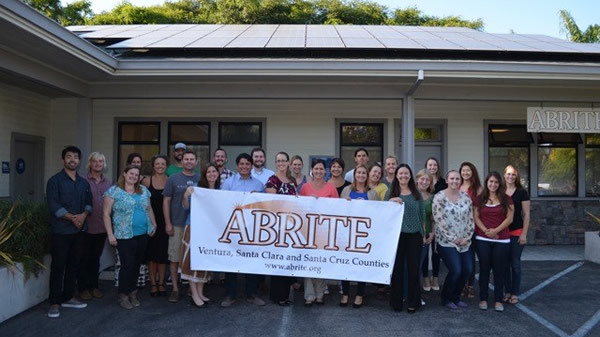 The founding directors of The ABRITE Organization began providing services in Santa Cruz County in September of 2006. In the last several years, the types of services provided as well as areas that the team services have been expanded so we are able to support more children and families. Dr. Janice Frederick manages the clinical services in Santa Cruz County, whereas Dr. Valerie Rogers joined our team in 2011 to oversee clinical services in Santa Clara County. In 2015, Dr. Frederick and Dr. Raabe developed services for all of Southern California. Dr. Ginger Raabe serves as ABRITE’s executive director and in this role monitors and ensures that services are always implemented with integrity and at our expected highest level of excellence. Each of three regions offers clinical teams who provide many different types of services for many different funding agencies that are all based on the science of Behavior Analysis. Specifically, we are vendored with our local regional centers to provide early start services and behavior reduction services. We also are a non-public agency (NPA) that is certified through the California Department of Education in order to provide educational assistance to our local school districts. We also work collaboratively with school districts in order to co-create and maintain classrooms that utilize educational strategies that have been shown to be effective in the research literature. In addition, we are in contract with many insurance companies in order to provide behavioral services in line with SB946 in the state of California. Moreover, we also provide private services to many local children and their families. We are able to assist many types of learners, from children who are exhibiting a delay in one specific skill area such as communication or social development to children with more global delays. The clinicians at ABRITE view each child as an individual and develop a curriculum that addresses the learner’s UNIQUE strengths while remedying deficits. This goal is achieved solely with the use of empirically supported methodologies as we believe further development and dissemination of validated practices will be the way by which families and science can unite to improve the lives of children. 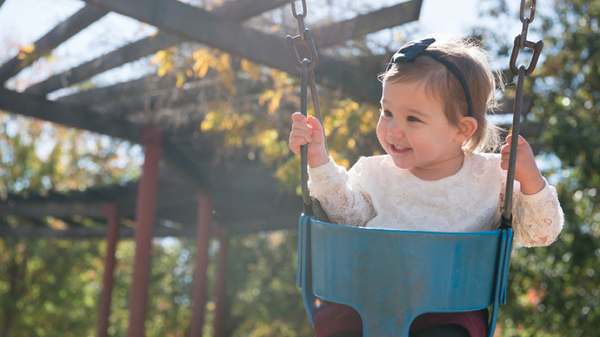 Dr. Raabe and Dr. Frederick also believe that an organization which is guided by the children and families it serves, in conjunction with the evidence supporting its’ practices, is an organization that generates the best outcome. They share the philosophy that the progress of the children they serve dictates their success rather than the financial prosperity of the organization. The ABRITE Organization is a group of clinicians who have dedicated their lives to helping children with the use of science. This organization is run by Directors who were hand selected based on their love for children. We believe strongly in creating outcomes with every children and family and the way that we are able to create these outcomes is by hiring likeminded individuals who love children and investing heavily in their training. Please read below to learn about each of our Directors. Dr. Raabe is the Executive Director and co-founder of The ABRITE Organization. Dr. Raabe is a member of large family and as such has always enjoyed children and knew that her career would involve working with children and involve an interest in psychology and how people learn. 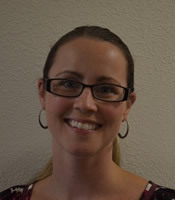 Dr. Raabe received her Bachelors of Science in Psychology from South Dakota State University in 1999. Dr. Raabe graduated from the University of Nevada-Reno with a Masters of Arts in Psychology in 2002 and a Doctorate of Philosophy (PhD) in 2005. Dr. Raabe began with working with children with developmental delays, such as autism, nearly 20 years ago. Early in her career she served many roles at the University of Nevada Reno’s Autism Program including director roles in Center, Home and Outreach programs. While serving as the Associate Director of the Outreach program, Dr. Raabe led the development of a model classroom for integrating behavior analysis in to the classroom for a local school district. Dr. Raabe’s research and daily endeavors have focused on the implementation of Organization Behavior Management (OBM) best practices within The ABRITE Organization and the co-creation of an organization that practices behavior analysis while providing behavior analytic services to children and their families. Dr. Raabe has co-authored peer reviewed publications and book chapters; in addition she served as an editor on a published book on gambling behavior. Dr. Raabe’s clinical interests continue to focus on behavior analytic interventions for families with children diagnosed with autism and other developmental disorders. 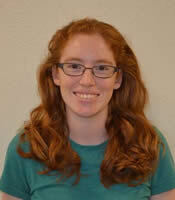 Her research focuses on behavioral excesses displayed by children with autism, parent, teacher, and staff training. Dr. Raabe loves children and she considers being a mom her favorite role in this world. She enjoys spending time with her two young sons and her husband enjoying sunny Santa Cruz. Dr. Frederick is the co-founder and the Executive Director of Clinical Services of the ABRITE Organization. From a very young age, Dr. Frederick knew she wanted to work with children and had a special interest in children with learning differences. Over 15 years ago, while attending Temple University, Dr. Frederick began working with children with autism. During this time, Dr. Frederick was introduced to behavior analysis, observed the power of its application, grew eager to develop expertise in the science and its application in order to help children and families. In 1999, Dr. Frederick graduated with honors from Temple University in 1999 with a Bachelor of Arts degree in Psychology and a minor in Biology. Dr. Frederick continued her education in Behavior Analysis and graduated from the University of Nevada, Reno with a Master of Arts in Psychology in 2003 and a Doctorate of Philosophy (PhD) in Psychology in 2006. While at the University of Nevada-Reno (UNR), Dr. Frederick served a number of positions in the three divisions of the UNR Early Childhood Autism Project. As the assistant director of the UNR Early Childhood Autism Outreach Program, Dr. Frederick provided consultation and staff training in behavior analytic techniques to school districts serving children with autism and other developmental disabilities throughout Northern Nevada. In 2002, Dr. Frederick received the Sidney and Janet Bijou Endowed Scholarship in Psychology, a grant that supports research in behavioral child development. In 2004, Janice left her post at the university and began consulting to school districts and families throughout Northern California. Dr. Frederick has conducted research on parent and teaching training, self-stimulatory behavior, and basic learning processes with children with autism and this work has been published in peer-reviewed journals. Her current research has focused on intervention outcomes with children with varying levels of developmental delays as well as implementation of behavior analysis in public education classrooms. She has presented her research at several state and national conferences. Dr. Frederick resides in Santa Cruz, California with her husband, son, and two daughters. She is extremely thankful that she has the opportunity to spend her days surrounded by children and continues to be inspired by the experiences she shares with children, their families, and the talented team with whom she is fortunate enough to collaborate. 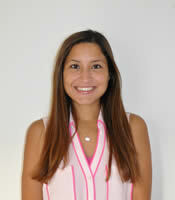 Fernanda Welsh is a bilingual Assistant Clinical Director with the ABRITE Organization in Southern California. She graduated with honors from California State University Northridge in 2007 with a Bachelor of Arts in Psychology. In June of 2014 she obtained her Master’s degree in Counseling with an emphasis in Applied Behavior Analysis from California State University of Los Angeles with honors. Fernanda began working with children with special needs as an undergraduate student during a practicum placement. This intensive practicum consisted of parent training (combination of parent classes and observation/feedback) to parents of children with autism. It was during that time that she realized her love for this field. She started out as a one-on-one therapist (BII) in 2009 by providing direct services to children in the school and home environments. She also provided direct services in a preschool that served children with autism by implementing ABA interventions. She became an ABA supervisor in 2010 and some of her roles included parent training, assessment of services, staff training, program development and implementation. In September of 2014 she became a Board Certified Behavior Analyst (BCBA). Fernanda’s clinical interests involve bringing awareness to families about ABA services and the importance of early intervention. Her future plans include continuing her education in the field and participating in research. Randi is a Clinical Manager with the ABRITE Organization in Los Angeles, California. She has been providing direct ABA services to children and adults with diagnoses of autism, Down syndrome, emotionally disturbed, and other behavioral disorders in the home and school setting since 2008. Randi completed her undergraduate degree at California State University at Northridge (CSUN), and later returned to CSUN to obtain her Master’s in Applied Behavior Analysis in July of 2016 and become a Board Certified Behavior Analyst (BCBA). Her passion for the application of the science of behavior is only rivaled by her passion for dissemination, and so, Randi is also the Staff Trainer of the Los Angeles location. Randi was born and raised in Southern California. Most of her free time is spent with her dogs, cooking (and eating), and a variety of volunteerism. She looks forward to many more years of providing ABA services, disseminating the science of behavior, and servicing her community. 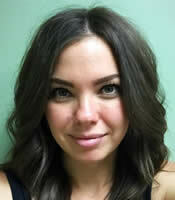 Brynn is a clinical manager at the ABRITE Organization in Southern California. After graduating from the Chicago School of Professional Psychology in 2016 with a Master’s in Applied Behavior Analysis, Brynn moved from Chicago to continue her career and become a Board Certified Behavior Analyst (BCBA). Brynn’s passion for ABA began in high school as an aide and tutor for children with disabilities. At Saint Mary’s College (Notre Dame, IN) she continued gaining experience at a research lab focusing on incorporating advanced technology into ABA therapy for children with Autism. During practicum in graduate school, Brynn provided direct services to children in homes and schools and learned how provide effective treatment in multiple environments. From 2015-2016, she served as a behavior analyst intern at a K-5th grade inner city Chicago Public School and developed school-wide interventions. As a sister of an individual with autism, Brynn hopes to support the families of Southern California through her clinical experience and compassion. As a newcomer, Brynn enjoys hiking, cooking and exploring Los Angeles! Irlanda is a Clinical Supervisor with the ABRITE Organization in Los Angeles, California. Irlanda has held many positions within the ABA field from the direct service provider working with many types of learners, such as those diagnosed with autism and Downs Syndrome, and she has also worked with these learners in many different environments such as home, school, and the community. Irlanda began working in the field in 2008 and has worked her way up from Behavior Interventionist to her current role of Clinical Supervisor. From the very first month Irlanda knew this was the career for her and she immediately applied to a graduate program and began her masters degree within Behavior Analysis. Irlanda completed her masters program in 2014 and is nearing completion of all requirements to sit for her board examinations. Irlanda resides in Southern California, where she has lived most of her life enjoying all that the San Fernando Valley has to offer. She enjoys the outdoors and scrap booking in her spare time, while exploring her professional goals with the learners she works with. Irlanda feels passionate about the children and families she works with and the science that is guiding her. 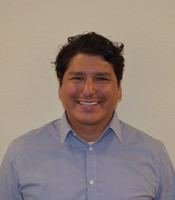 Nelson Lopez began working with The ABRITE Organization as an Early Childhood Interventionist (ECI) in October 2012, and was quickly promoted to a Lead ECI. 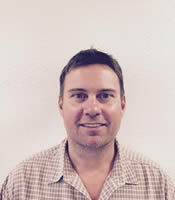 After a brief absence due to relocating to Southern California, Nelson returned to the ABRITE team in 2015. Nelson now holds the clinical roles of Lead Behavior Interventionist (BI) and Administrative Supervisor. Nelson completed his undergraduate studies at the University of California Santa Cruz with a double Bachelor of Arts degree in Psychology and Philosophy in 2012. Nelson has continued to learn beyond his undergraduate studies on how to apply his academic study of psychology to working with children at ABRITE. Nelson eagerly participated in all advanced trainings and loves to dedicate his time to providing exceptional behavior analytic services for persons with developmental delays. Nelson is also in the process of further his education and is taking additional courses related to the field, and plans to go back to graduate school for an advanced degree in Behavior Analysis in the near future. In his spare time, Nelson enjoys riding his bike, going on hikes with his dog, and working out at the gym. 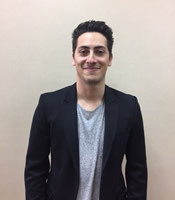 Cameron Milstein joined The ABRITE Organization as a scheduling coordinator for ABRITE’s Sherman Oaks office. Cameron was quickly promoted to the Operations Manager position for Southern California, given his skill set and education. Cameron received his Bachelors of Science degree in Business Management from Pepperdine University in December of 2016. He hopes to continue his education in the future and pursue an MBA with a concentration in either health services or information systems management. Although Cameron’s role with ABRITE does not involve working directly with children, he is extremely passionate about children and finds his role within ABRITE deeply rewarding. There is nothing that makes him happier then hearing about the progress of children within the program. His goal is the same of the goal of the company and namely to do everything he can to help build a better future for children and their families. When Cameron is not at the office he enjoys spending time outdoors with his fiancée, his family and friends. Cameron is also very passionate about traveling the world and embracing different cultures. As a fluent Spanish speaker, Cameron appreciates understanding people of diverse backgrounds and cultures. In addition to continuing his work at ABRITE, Cameron hopes to one day start a family of his own. Valerie Rogers, Ph.D., BCBA-D joined The ABRITE Organization as the Clinical Director of Santa Clara County in May 2011. Dr. Rogers received her Ph.D. from the University of Nevada, Reno in 2011 and has been a Board Certified Behavior Analyst since 2008.Dr. Rogers’ passion for behavior analysis and children with autism began while attending Western Michigan University where she earned a Bachelor of Science in Psychology from the Lee Honors College. Upon graduation, Dr. Rogers attended the doctoral program in Behavior Analysis at the University of Nevada, Reno (UNR) where she held multiple roles within various behavior analytic organizations. She served as a Behavior Specialist for the Nevada Center for Severe Behavior Problems and as the Staff Trainer/Evaluator at the Person-Centered Assessment Treatment and Habilitation program. Dr. Rogers spent the majority of her tenure at UNR as the Associate Director of UNR Early Childhood Autism Program under the supervision of Dr. Patrick Ghezzi. During her years as the Associate Director, Dr. Rogers developed, managed, and implemented behavioral interventions for children with autism in various settings. She also conducted ongoing tutor, paraprofessional, teacher, and parent trainings, supervised graduate and undergraduate students working within the program, and developed and managed various research projects. Dr. Rogers has served as an instructor and guest lecturer for undergraduate and graduate level psychology courses. In 2011, Dr. Rogers was invited to travel to Saudi Arabia where she conducted workshops and parent trainings related to the utilization of Applied Behavior Analysis in the education and treatment of children on the autism spectrum. Dr. Rogers’ clinical interests continue to focus on behavior analytic intervention for children with developmental delays and disabilities, particularly the acquisition of desirable behavior and reduction of aberrant behavior. Her research interests include response variability and reinforcement and extinction effects relating, in particular, to the behavior of children with autism. She has presented her research at several national and state conferences. 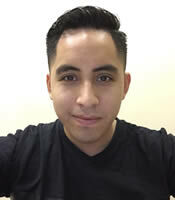 Sam Garcia, M.S., BCBA began working with The ABRITE Organization in 2007 and now works as a Assistant Clinical Director with the organization. Sam earned his Bachelor of Arts Degree in Literature from the University of California Santa Cruz in 2007. Sam then earned a Master of Science in Applied Behavior Analysis and Autism from The Sage Colleges, Esteves School of Education, in 2014. Sam has over 10 years of experience working with individuals with developmental delays and autism spectrum disorder (ASD). Sam began providing behavior analytic services in the Los Angeles area before attending the University of California Santa Cruz. After receiving his bachelor’s degree, Sam joined The ABRITE Organization as a Behavioral Interventionist where he implemented ABA interventions within their early start, behavior reduction and school collaborative programs. In 2012, he was promoted to a Clinical Supervisor at The ABRITE Organization. During his time as Clinical Supervisor Sam conducted parent training, staff training and supervised intervention teams in both San Jose and Santa Cruz County. After receiving his Master of Science in Applied Behavior Analysis and Autism from The Sage Colleges, Esteves School of Education in 2014 he became a Board Certified Behavior Analyst. 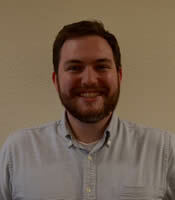 Currently Sam serves as a Clinical Manager for the ABRITE Organization. Sam’s clinical interests continue to concentrate on language acquisition in children with ASD, natural environment teaching and staff training. Sam also enjoys fishing, hiking and biking with his family and friends. 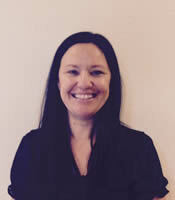 Marlena Jacobson joined The ABRITE Organization in 2007 as an Early Childhood Interventionist (ECI). Marlena was quickly promoted to a Lead ECI and BI, and supervisor roles. She currently serves ABRITE as a BCBA Assistant in our collaborative classrooms and as a Clinical Supervisor for clients through our Santa Cruz and Santa Clara offices. Before her time at ABRITE, Marlena has always enjoyed working with children and volunteered to make a difference in the lives of children and their families. Towards this aim, Marlena has volunteered with the Court Appointed Special Advocates (CASA) in Santa Cruz County for multiple years. She also served as a research assistant in the Psychology Department’s Research Lab during her undergraduate studies at University of California Santa Cruz (USCS). Marlena has completed her Masters in Applied Behavior Analysis through The Sage University. During her free time, Marlena enjoys running and spending time at the beach. Hannah began working with the ABRITE Organization in 2015. Hannah joined the team as an Early Childhood Interventionist (ECI) and now serves as Administrative and Clinical Supervisor. 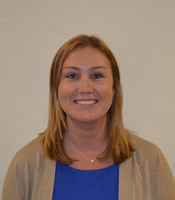 Hannah received her Masters degree in Psychology with an emphasis in Applied Behavior Analysis from California State University, Fresno in December of 2014. During her time in graduate school, she worked in an autism clinic as both an interventionist and case supervisor. As part of her program, Hannah also completed a research thesis that involved treatment of motor stereotypy with children diagnosed with Autism Spectrum Disorder. This research was presented at the California Applied Behavior Analysis conference in San Diego. In July 2015, Hannah became a Board Certified Behavior Analyst. Hannah has always been dedicated to helping children with special needs and their families. She began volunteering with the Special Olympics at an early age and has traveled to several countries in Central America to assist in classrooms with students of various disabilities. Using evidence-based behavioral techniques, Hannah hopes to continue teaching individuals novel skills that foster independence and integration within the surrounding community. 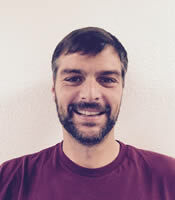 Sean Kotzman is a staff trainer for ABRITE’s Santa Cruz office and also serves as an Administrative Supervisor for ABRITE’s Santa Cruz and Santa Clara offices. Sean graduated from the University of California, Santa Cruz with a Bachelor’s degree in Intensive Psychology. While at UCSC he studied the interplay between learning, memory, and forgetting under Dr. Benjamin Storm in the UCSC Memory Lab. Shortly after graduating Sean began work as a Behavior Interventionist with The ABRITE Organization. At ABRITE he was exposed for the first time to the principles of Applied Behavior Analysis (ABA), the data driven science at the heart of ABRITE’s philosophy. Almost immediately, he saw the amazing power ABA has to make a difference in the lives of those learners who are in the greatest need. Sean now focuses on the initial and ongoing training of staff, passing on the procedures and principles he has come to believe so strongly in. His current focus is providing rigorous training for ABRITE’s behavior interventionist that equips them to best be agents of positive change in the lives of ABRITE’s clients. 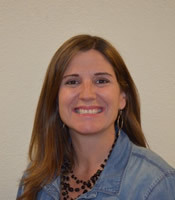 Linzi Webber is an Administrative Supervisor and Lead Behavior Interventionist at The ABRITE Organization! She received her Bachelors of Arts in American Studies and Education from University of California at Santa Cruz in 2008. Linzi is currently completing her Masters of Science in Psychology specializing in Applied Behavior Analysis at Capella University. Upon completion of her degree, she plans to take the BCBA exam to become a Board Certified Behavior Analyst. As an energetic person driven by a strong passion for working with children, Linzi is devoted to improving the lives of young learners each and every day. She has many years of experience working with young learners of all ages and began working with children with developmental delays 5 years ago. She enjoys providing a variety of behavioral and educational services focused on improving academic, communicative, adaptive, motor and social skills within home, school, and clinic-based environments. Linzi finds that furthering young learners strengths while remedying their deficits is extremely important and strives to continue doing so throughout her career. In her free time, Linzi loves to go hiking, fishing, backpacking, kayaking, horseback riding, and explore with her dog in the sunshine! 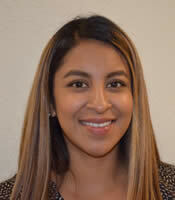 Maira Bartolo is the Scheduling Coordinator for ABRITE Northern California. Maira joined the team in 2012 after reading about ABRITE’s philosophy and wanting to join the team in a shared mission for the community. Maira comes from a multicultural family background with a mom who growing up only spoke Spanish and her dad only spoke English. Growing up in a bilingual family led Maira to experience insight in how language barriers can limit people's lives; therefore Maira grew up always wanting to help others. Maira has had extensive experience working with the community. Her experiences range from helping find local affordable housing to translating and interpretation services. 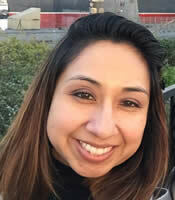 Maira has worked in a nonprofit with the aim of providing affordable housing projects earning her a CCRM designation and at the Language Line in Monterey where she received a Language line Certification for translation and interpretation in Spanish. Maira is currently enrolled in the Communications Studies Transfer program at Cabrillo hoping to transfer to UCSC in fall of 2016. Maira loves seeing the kids at ABRITE grow during the time she’s been with the team. She also enjoys exploring the local beaches with her son Anthony. Their hobbies include collecting seashells for their living room. Maira volunteers at Anthony’s special day class on her free time and is part of the MVP at Mar Vista Elementary helping put together community fundraisers. Kinga joined the ABRITE Organization in 2015 as a Clinical Manager. Kinga graduated with a master’s degree from Jagiellonian University in Krakow, Poland, in 2009. For her master’s theses she conducted research on depression in rural India. She completed the Advanced Course Sequence in Applied Behavior Analysis at Florida Institute of Technology in 2014. 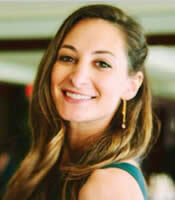 She is thrilled to be at ABRITE, where she can continue to grow as a practitioner and impact lives in a positive way. Kinga’s first experience working with individuals with developmental disabilities was in high school, when she volunteered at a residential care facility. She became familiar with ABA during her MA program. She began practice of ABA in Indiana, where she worked as a therapist in a variety of settings and as a therapist trainer. After moving to California in 2014 she continued her career as a Behavior Analyst at an ABA agency in San Jose. In February 2015 she became a Board Certified Behavior Analyst. Kinga is passionate about practicing ABA and she finds clients’ progress to be the most rewarding and motivating aspect of her position. She believes that focusing on what her clients can do, rather that what they cannot do, is the key to helping children with developmental disabilities. In addition, she feels passionately that every skill her clients gain, no matter how small, brings them closer to achieving their full potential. 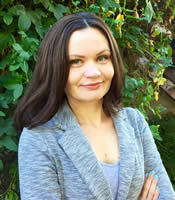 Kinga lives in Santa Cruz with her husband and two rescue cats. Aside from ABA, her interests include traveling, learning about different cultures and hiking. John Frederick is the Director of Finance and Administration has been with The ABRITE Organization since it’s inception in 2006, he played a meaningful role in its formation. John received his degree in both Finance and Accounting from the University of Iowa in 1995. Following receipt of his degree, John spent 3 years working overseas as recreational director for children at a United States military base and then as an auditor in the accounting department for the Armed Forces Recreation Center in both Garmisch-Partenkirchen and Chiemsee, Germany where his job was to examine and balance each of the facilities’ operations. After returning to the US in 1998, John worked with the start-up company Sustainable Forest Systems, whose goal was to promote selective harvesting in Bolivia. John served a number of key roles at the company including managing their accounts payable, researching acquisitions, and involvement in the development of a number of the companies policies including their health care and compensation packages. Since leaving Sustainable Forest Systems in 2002, John purchased and developed two small businesses. John’s experience in building successful companies ensures ABRITE’s long-term growth and prosperity. John enjoys the advancement of applied behavior analysis in both the clinical and business settings as well as making a direct contribution to our community on a daily basis. John spends most of his non-work hours with his family enjoying life and outside activities around Santa Cruz and Aptos. 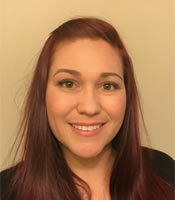 Joelle Glovick is the Operations Manager at ABRITE Northern California. Joelle joins ABRITE with many years of experience working behind the scenes with companies who work with individuals with physical and behavioral disabilities. Joelle has always felt strongly that she should feel good about the work she does given the time devoted and thus feels strongly about working with companies with a powerful mission. Joelle joined the ABRITE team with the belief that she would feel this level of satisfaction daily by helping all the administrative operations run more smoothly for the children and families we serve. Outside of her work at ABRITE, Joelle enjoys spending time with her family, especially spending time with her kids. In particular she enjoys taking her little ones to the movies or playing outside. Chris Raabe joined The ABRITE Organization in 2012 and has taken on various administrative roles since this time. Chris comes to our team with a strong history in the financial and planning aspects of construction (architectural drafting). Chris is utilizing his planning and financial skills from this different field to assist in ABRITE's mission of helping children by filling many different administrative roles that range from payroll to HR tasks to support ABRITE's growth to Southern California. In his free time, Chris enjoys all that Santa Cruz has to offer with his wife and three children. He enjoys surfing as much as time allows, bike rides along the ocean and he is also an avid Sprint car (racing) fan. Libby is the ever present, sweet greeter for The ABRITE Organization’s Santa Cruz office. Libby joined The ABRITE Organization as sweet little adopted puppy in 2007 and since this time she has earned her keep on a daily basis. Libby received her first training in 2007 when she joined Team ABRITE. Since then, she has been subjected to many shaping procedures, from her behavior analytic owners and fellow ABRITErs. 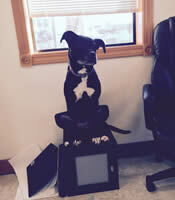 She now has a mad skill set that ranges from the standard sit, shake, lay down to keeping everyone on the conference room on their toes when any other dogs, or strange odd 4-legged creatures who are not working, walk by to letting us know if the interviewee loves dogs. Libby sits in the same chair all day, every day and shows us that only lazy dogs lay down. She attends many scheduling meetings and is known (quite comically) to look towards the speaker and tracks when the speaker changes. She becomes attached to ABRITE team members and will cry/yelp at the window if they attempt to go across the street for a cup of coffee. Libby not only loves her day-to-day tasks at ABRITE, but she also enjoys going on walks to East Cliff. She also enjoys chasing cats and hiking with her loving family during her spare time. Our clinical teams are a group of passionate individuals trained in psychology. Each learner benefits from a Behavior Interventionist (BI) and a Lead BI who work directly with each learner in the home and/or community settings. The BIs and Lead BIs have an undergraduate degree in psychology. The Lead BI participates in advanced training to guide the team on a day-to-day basis. Each learner also has a Supervisor on their team and this individual has advanced training within the field of behavior analysis and/or is enrolled in a master’s program within the field. Each learner also has a Clinical Manager who leads the team by creating and modifying all curriculums and conducting all training. This individual is a board certified behavior analyst (BCBA). Unfortunately, there is quite a bit of variability in service providers and even major differences between different ABA providers. We, at ABRITE, take pride in providing services in what we call the ABRITE way and therefore we would like to share some details regarding what we consider to be the ABRITE way. First, we believe firmly in the science of behavior analysis and requiring all of our team members to be highly trained within this science. There are many levels of ‘knowing’ about this field and unfortunately many within Behavior Analysis are not formally trained from highly regarded university programs (see section on how to pick your provider for additional details). The ABRITE Organization has four directors of our Clinical Services. Each of our Clinical Directors has a Ph.D. from the highly regarded University of Nevada Reno Behavior Analysis Program and has a combined 70 years of clinical experience. This type of training and education means our Directors are trained beyond a bag of tricks. Second, we believe that we provide a service to children and these children deserve nothing less than highly trained professionals. Therefore, we provide extensive training to each and every team member and we continue to provide training and supervision on a weekly basis for all team members. Even our PhDs and Masters Level clinicians continue to participate in trainings by attending conferences to learn about recent advancements within the field and then return to train our team. Third, we are not a traditional business. We are a group of clinicians with a common goal. Luckily some of us know enough about business so that our clinicians can continue to provide services in accordance with the best practices, not the financial bottom line. ABRITE is a company run by families for the families and it always will be. Lastly, we believe there is no behavior that we can’t change and that all of our clients deserve the right to be successful in their environments. We do not take the stance that every behavior NEEDS to be changed or that the learner is wrong for engaging in a certain behaviors. All behavior happens for a reason and figuring out that reason and giving the learner a different way to meet their needs/wants is our job! We believe that every learner has strengths and weaknesses and that every learner could more successfully navigate our complicated social world with a little bit of help to make life a little easier.